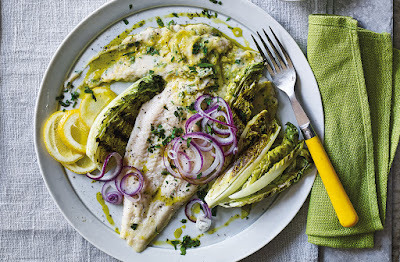 Get more fish into your diet with this elegant midweek meal that can be on the table in just 25 minutes. Baked basa fillets are served with a garlicky lemon cannellini mash and gem lettuces which are griddled for a delicious charred flavour. fan 180°C. Put the fish on a baking tray lined with nonstick baking paper. Pour over 3 tsp oil and the lemon juice; season. Bake for 15-17 mins until the fish is cooked through and flakes easily.